These very elegant earrings for pierced ears are in 18ct white gold and were made in France. 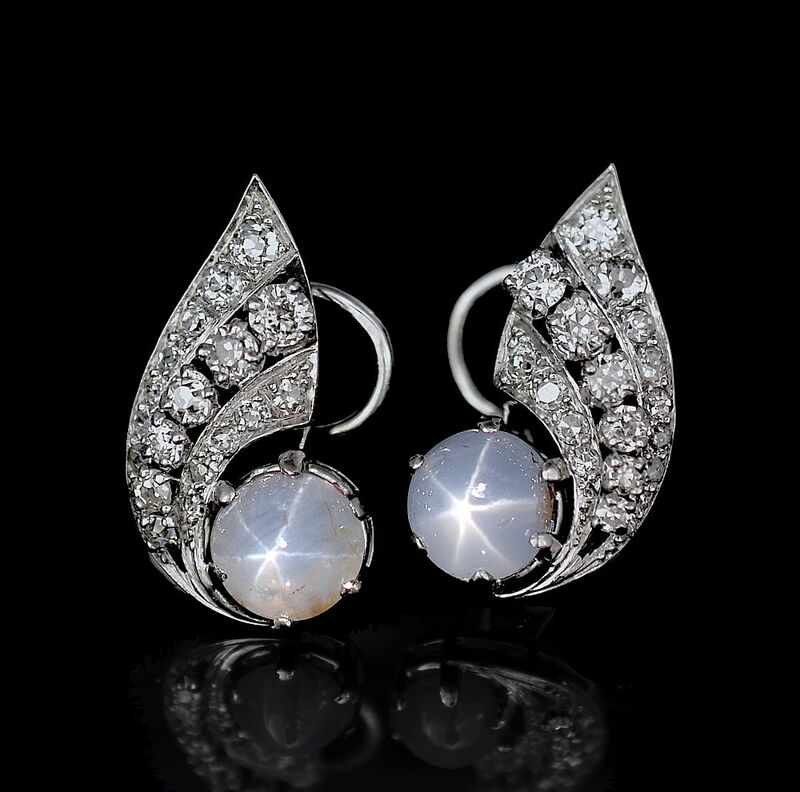 Each scroll shaped earring is set with 3 tapering scrolling lines of round diamonds at the base of which is a claw set cabochon cut light blue/grey star sapphire. The earrings are fitted with posts and clips (Omega clips) for pierced ears.